Food Service Director Jeryl Carey organizes food trays at the Community Corrections Center-Omaha (CCC-O). Carey has been with the Nebraska Department of Correctional Services (NDCS) since 1998. 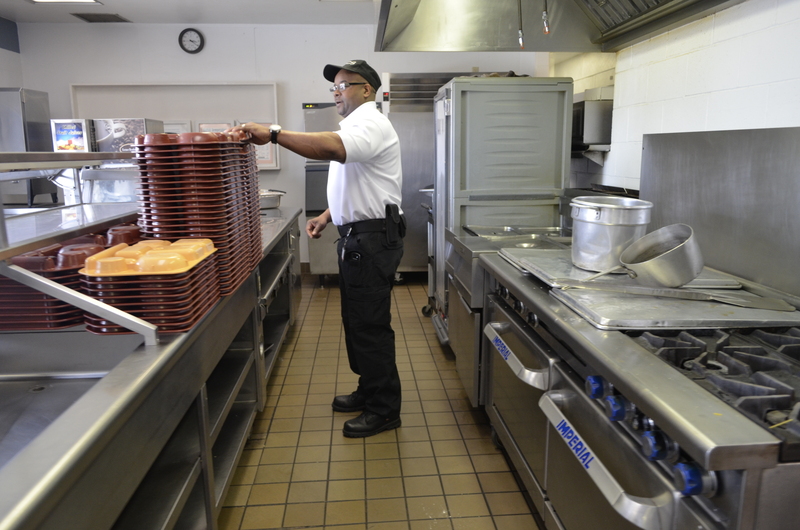 His job duties include running the food service department and making sure three meals are served every day.